Formerly Marine Tune, the new owners at Gold Coast Boating Centre, Scott & David, plan on taking Gold Coast Boating Centre into 2019 and beyond as QLD’s top 3 Yamaha dealer and keep Gold Coast Boating Centre on top with great customer service and quality products. Gold Coast Boating Centre sells Yamaha outboards, Horizon, Formosa, Stessl and Stessco boats. Gold Coast Boating Centre is also an authorised Yamaha Service Centre. Based in Burleigh Heads we service the immediate Gold Coast area including Tweed Heads, Coolangatta, Currumbin, Broadbeach, Surfers, Southport, South Stradbroke Island. Further south service areas include Kingscliff, Casuarina Pottsville and Bryon Bay. Less than an hour away north is Brisbane markets so we can get you what you need quick and affordable. As Gold Coast Boating Centre has grown it has been necessary for us to expand our premises to suit our current needs. 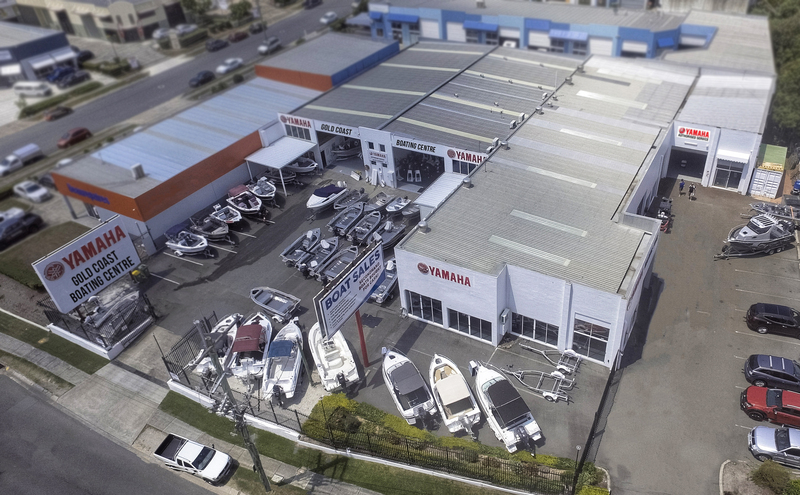 Gold Coast Boating Centre has been among the top 5 national Yamaha Dealers for the past ten years and certified in all aspects in Yamaha diagnosis and service. Qualified Outboard Mechanics, specialising in Yamaha Outboards. Top Ten Yamaha Dealer 15 years running. Registered Horizon & Stessl Boat Dealer. Registered Formosa Sea-Rod & Stessco Dealer. As well as being a Dunbier Trailer Specialist, we also offer a wide range of quality used boat trailers. We also have secondhand outboards & boats that will suit the budget conscious. We have the experience and knowledge to guide our customers with the perfectly suited boat package, outboard, trailer or piece of boat and safety equipment. We endeavour to give our customers that extra bit of personalised service and guide you through your purchase. Call us now to speak to our experienced sales staff or come in and visit our wide range of boats on display at 64 Kortum Drive, Burleigh Heads. Alternatively, you can catch at the many boat shows such as Sanctuary Cove Boat Show, Boat Shows Australia and the Brisbane Boat Show.